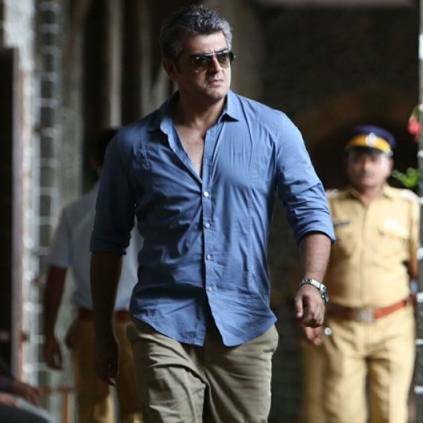 Ajith is currently working in the official remake of Pink directed by H.Vinoth of Sathuranga Vettai, Theeran Adhigaaram Ondru fame and its cast includes Vidya Balan, Shraddha Srinath, Rangaraj Pandey and others. Yuvan Shankar Raja is the music director of the film. The movie is produced by Boney Kapoor. Boney Kapoor has now bought the remake rights of an Egyptian film Hepta:The Last Lecture. It is touted that the film will be remade in Hindi and other languages. The film will be produced by Kapoor's Bayview Projects and co-produced by Fresh Lime Films. He said,”It is a pleasure to cooperate with Egyptian cinema. I strongly believe that this is only the beginning and we shall soon be seeing films from Egypt and India being remade in their respective languages." Pink is a hindi film that starred Amitabh Bachchan, Taapsee Pannu and others and it was well received. Ajith’s Pongal release Viswasam directed by Siva co-starring Nayanthara, Vivek, Jagapathi Babu, Thambi Ramaiah and Yogi Babu is running successfully in theatres now. People looking for online information on Ajith Kumar, Boney kapoor, Egyptian movie, H Vinoth, Hepta The Last Lecture, Pink, Pink Remake, Vidya Balan will find this news story useful.